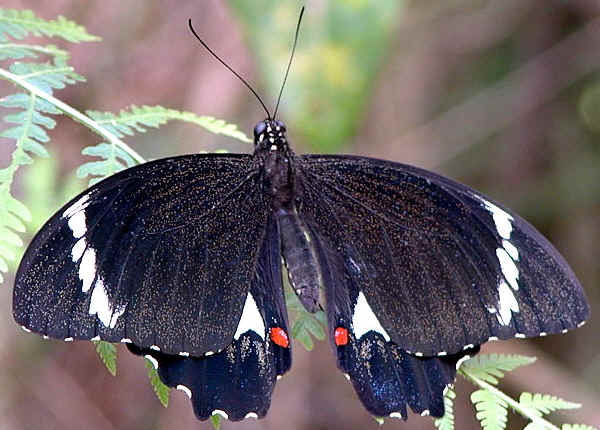 This page contains information and pictures about Orchard Swallowtail Butterflies that we found in the Brisbane area, Queensland, Australia. They also commonly known as Large Citrus Butterfly or Orchard Butterfly. 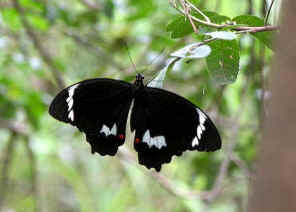 They are the common largest butterflies in Brisbane. 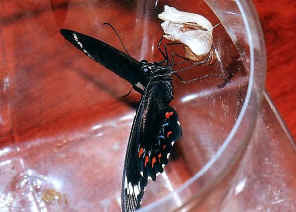 If you see a very large black butterfly flying pass, most likely it is this Orchard Swallowtail Butterfly. 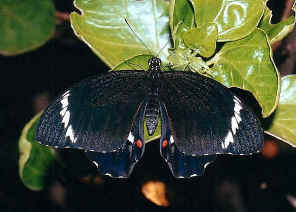 Orchard Swallowtail Butterfly are the largest butterflies commonly seen in Brisbane. 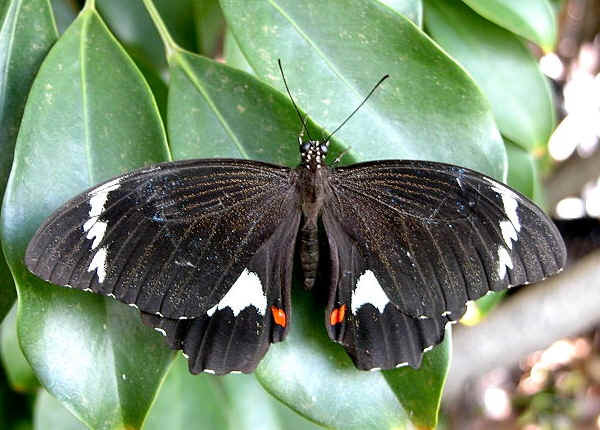 If you see a large black butterfly passing by, this is probably it. The male is black with white or cream crescents and a red spot on each wing. 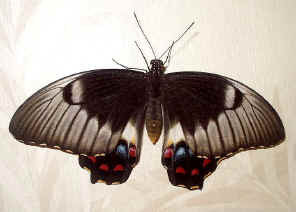 The underneath of the male hind-wings have less white and more red patches with small blue crescents. 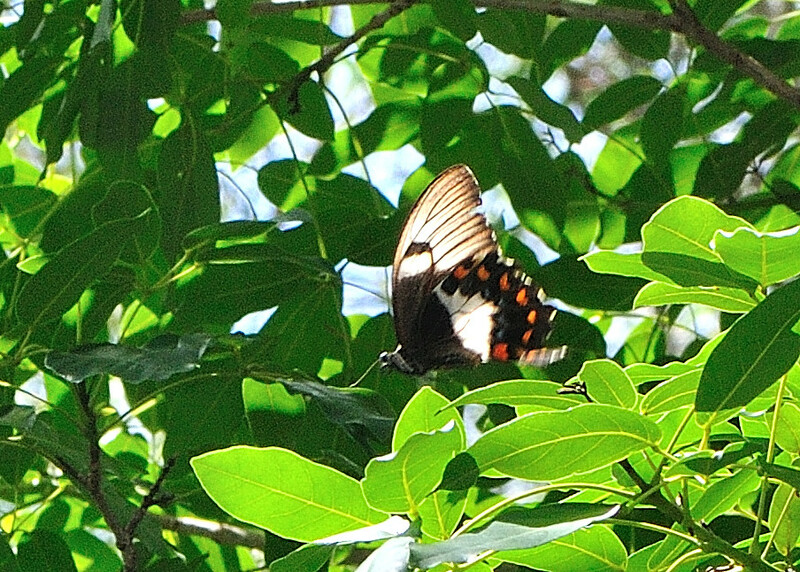 Nothing beats a day at the office like seeing a Butterfly flutter past your window from your standing desk. You even might be tempted to leave your position at the standing desk for a brisk walk in the local park. However if you can't get the time off beyondtheofficedoor.com is sure to make your work space a comfy one. 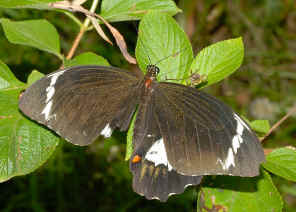 The female is similar, but browner, with a white patch on the forewings, showing brown veins. Eggs are 1.4mm in diameter, pale yellow to greenish yellow in colour, spherical and smooth in shape. Females lay eggs on food plants, usually in young terminal shoots or close to margin in the underside of leaves. 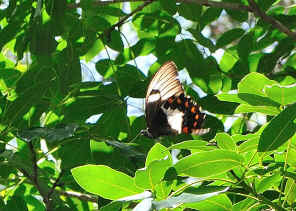 Orchard butterflies flight are slow and erratic. 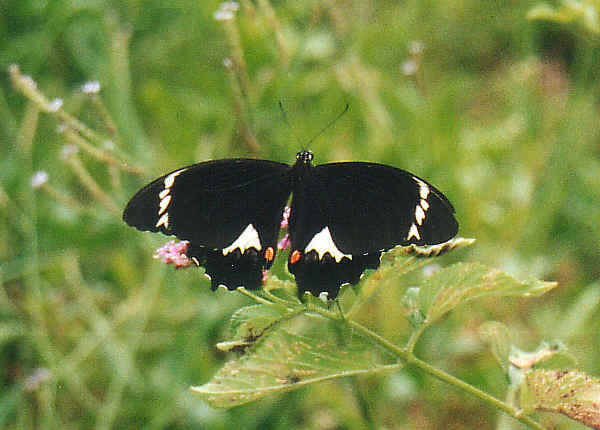 When settled, their wings are held open widely. 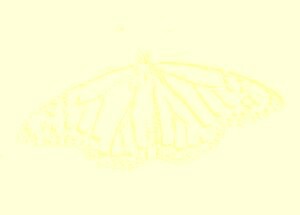 They feed on flowers with wings vibrating. 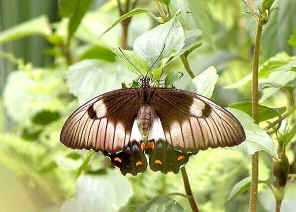 Orchard butterflies belong to the family PAPILIONIDAE, commonly known as Swallowtail Butterfly. 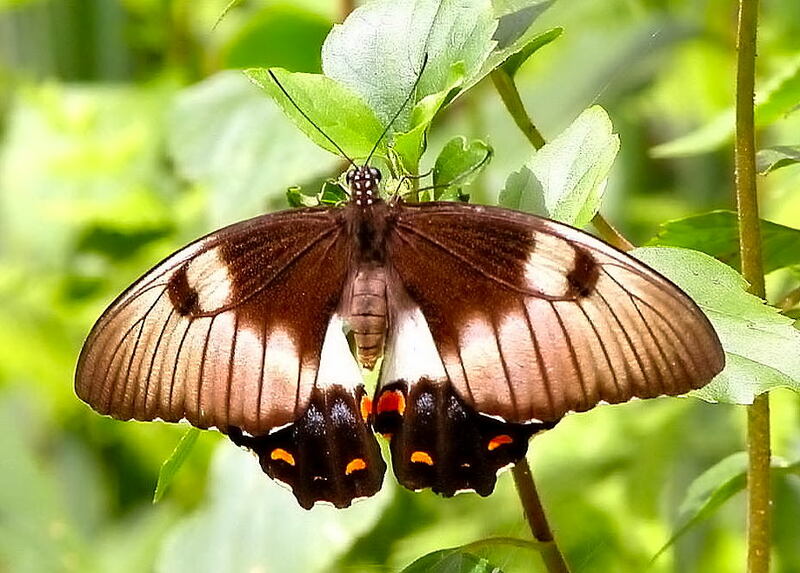 Most of the butterflies in this family are large in size and with brilliant colours. 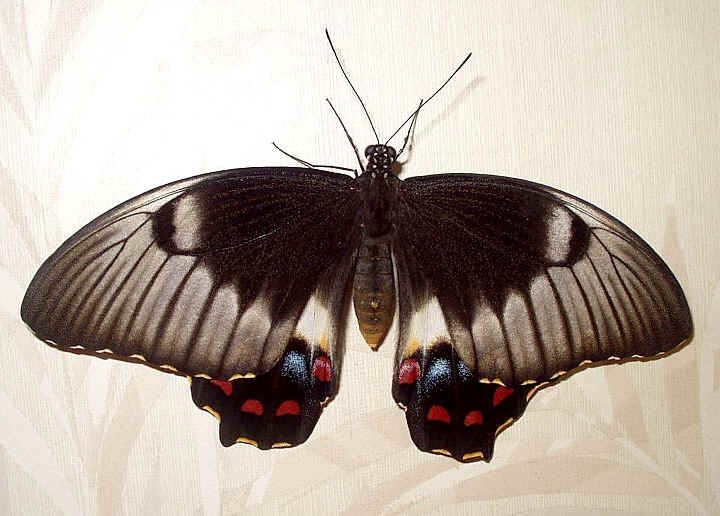 They are called Swallowtails because some of species have tailed hind wings. However, not all family members have tails. The Orchard Swallowtail Butterflies have no tails. 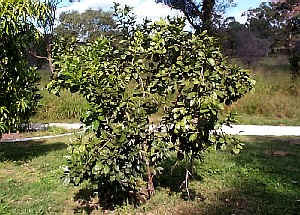 Citrus tree, food plants of Orchard Butterflies. 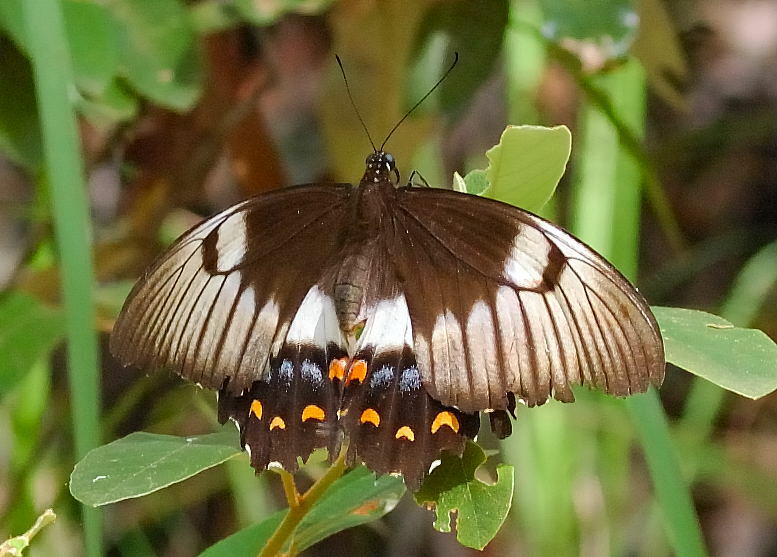 The food plants of Orchard Butterflies are Citrus trees, include the Orange and lemon trees. Adults are commonly seen in in garden feeding on flowers. 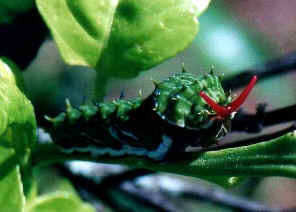 Caterpillars sometimes cause minor damage in orchards and gardens. It takes about one week for an egg to hatch. The newly emerged larva will eat the egg shell as their first meal. The first and second instars larva closely resembles a fresh bird dropping. The larva feed singly on food plants. They usually feed during the day and rest by night on the upper side of leaves. 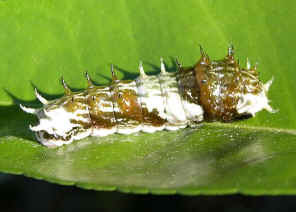 The Orchard Butterfly larva can grow up to 60mm. 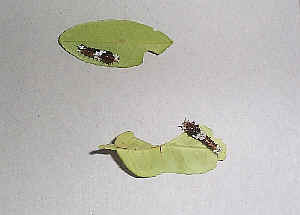 The third and later instar larva turn to more green in colour, with irregular yellowish-white markings. It takes four week for the caterpillar to grow up and ready to turn into a pupa. When disturbed, the caterpillar display the osmeterium from it head, which is brightly red colour and quite scarily. Together there is the pungent smelling and strange enough to drive you away. 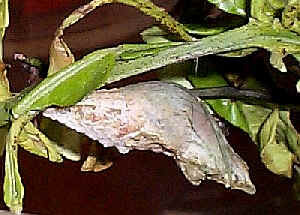 The pupa is attached head upwards to a stem of food plant by the cremaster on one end and a central silken girdle. The pupa will stay motionless for two weeks. Usually the adults emerge in early morning. In warm season, it takes about 5 to 6 weeks from egg to an adult. 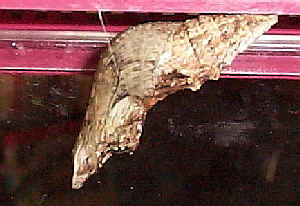 The colour of the pupa usually matches the colour of the background. It could be brown, grey or green in colour. 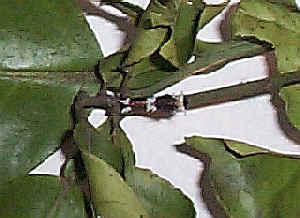 On 07/03/2001, we found two Orchard Swallowtail caterpillars on a Citrus tree near the Bulimba Creek. They are 15mm and 8mm in length. We took them home to watch their development. We bring along with some Citrus tree leaves as the foods. We keep those leaves in refrigerator and they can be kept fresh for weeks. We recorded how the larger caterpillar transform into a butterfly. 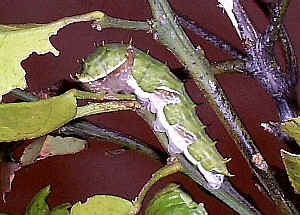 07/03/2001 The caterpillar, 8mm and 15mm. 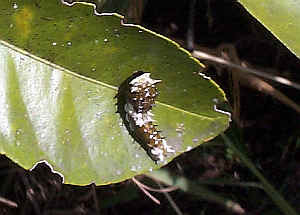 The caterpillar feed on the Citrus leaf that we collected at where we found it. The caterpillar look like the bird dropping. 10/03/2001 25mm and 13/03/2001 30mm. 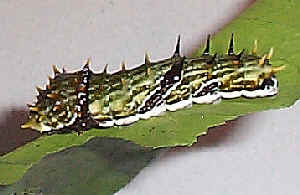 The caterpillar ate one to two leaves per day. When it grow, it become green in colour. 15/03/2001 40mm. and 17/03/2001 just before the pupa stage. 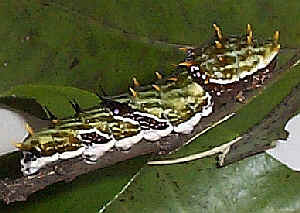 The caterpillar usually feed at night. 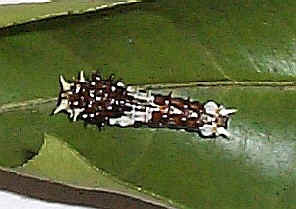 At day time it just rest still on the leaf.The caterpillar usually feed at night. At day time it just rest still on the leaf. Just before the pupa stage, the caterpillar climb to the ceiling of the case we kept it. It tail was attached ti the case by silk. There was another silk line around its body and hanging below the ceiling. 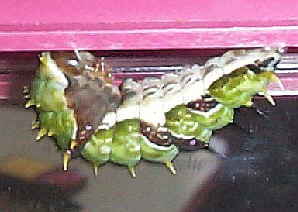 18/03/2001 The caterpillar turn into the pupa during the night time. 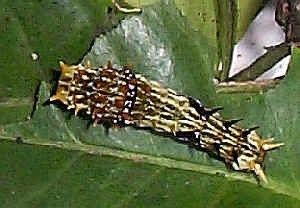 Sadly, four days later, we saw four white maggots came out the pupa instead of a butterfly. We then realized that the caterpillar was parasitised by the Tachnid Flies. In this season, we had totally raised eight Orchard Caterpillars and all of them are parasitised. 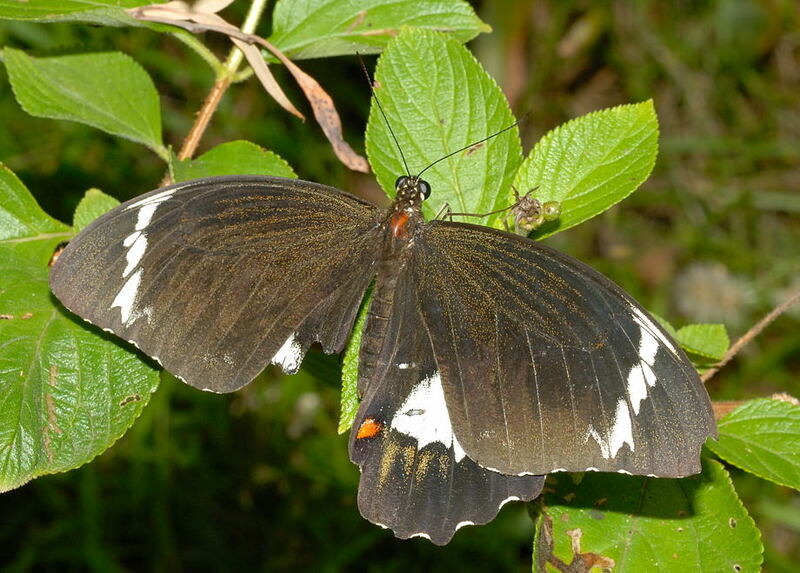 We learn from the reference books that butterflies are very likely being parasitised at the end of the breeding season. 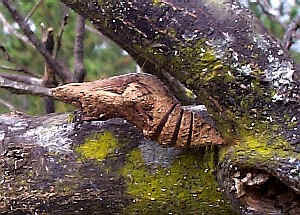 In 2002, we collected the Orchard caterpillars in the early summer. Finally, we can see the adult emerge. We raised two caterpillars this season and both of them turn into adults. One male and one female. We let them go after taking a few pictures. However, we found them remain flying around our backyard for a couple of days. To familiar with the structure of caterpillar, click here. Last updated: January 25, 2013.